As ranked by a research team of mathematicians and theoretical physicists. For all its colorful frenzied glory, the Tokyo Metro map isn’t the most complex subway guide in the world. New York and Paris both have it topped—at least in the eyes of one group of theoretical physicists and mathematicians. Researchers Riccardo Gallotti and Marc Barthelemy of the CEA-Saclay in France and Mason Porter of the University of Oxford in the U.K. recently set out to calculate the maximium transit map information someone can “reasonably process.” The goal, they write in Science Advances, was to see whether the growth of urban transportation systems has led to visual guides that “exceed our cognitive limits.” If that’s the case, then city residents and visitors might soon have to rely on digital navigation apps less as a crutch than as a necessity. For its study, the group analyzed maps of the world’s 15 largest metro transit networks, as determined by total stations. They considered all the trips a traveler could make from Point A to Point B with two connections, then determined the fastest possible path for a given trip. That framework aligned with behavioral research showing that people can store up to four pieces of information in their working memory at one time—in this case, a trip’s origin, its destination, and two transfer stations. When it comes to information processing, an average person’s “cognitive threshold” is about 250 connections, or the equivalent of roughly eight bits of data, according to the researchers. New York’s system neared that limit, with 161 total connections, and the most complicated two-transfer trip a person could make on the subway exceeded it—clocking in at 8.1 bits. Maps for the Paris Metro (with 78 total connections), Tokyo Metro (56), and London Tube (48) clustered around six bits of information. So for the most part, even in major cities, travelers can plan out fairly complex transit trips using a good old-fashioned metro map without getting too overwhelmed. But things get a lot harder for our brains to handle when a second mode is involved. The design uses weighted lines to show which buses come more often than others. The researchers found that out quickly when they layered bus data on top of metro rail routes for the three most complex networks. The number of total connections a person had to fathom for a particular subway-bus trip far exceeded standard cognitive capacity—reaching 8,461 for New York, 4,292 for Paris, and 1,831 for Tokyo. More than 80 percent of the potential multimodal trips required travelers to process more than eight bits of information. “This indeed poses the problem of a useful representation for such multimodal systems,” the co-author Barthelemy tells CityLab via email. Multimodal maps are rare, and the problem is really one of bus maps in particular. They’re just much more complex than subway maps, reflecting the greater scale of city bus networks themselves. 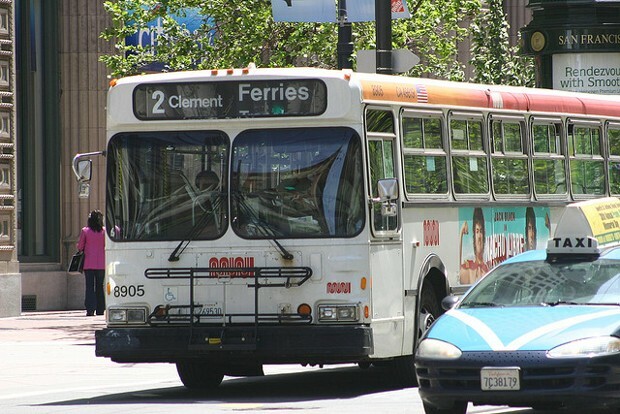 The researchers call for a more “user-friendly way” to present bus routes, and indeed some designers have advanced the art of the bus map—using line thickness to denote frequency, for instance, as the new Muni map does in San Francisco. Our analysis highlights the fact that humans need to integrate an excessive amount of information for urban navigation, and we therefore need to seek new solutions that will help them navigate in megacities. Redesigning maps and representations of transportation networks, as well as improving information-technology tools that help to decrease the amount of information to a level below the human processing threshold, thus appears to be crucial for an efficient use of services provided by transportation agencies. In some ways the work misses the forest for the trees: 5.6 million people navigate the New York subway system every weekday, and 2.1 million ride the bus, without their heads exploding. But it’s hard to argue with the pursuit of better maps or smarter navigation technology to assist city mobility. The less you need to rely on a specific route you already know from A to B, the more freedom you feel to take transit anywhere in the city.